the voice | Connect. Evolve. Thrive. I like to watch The Voice, and not just to enjoy the eye candy. As a coach, I am always interested in the ways that the four superstars “coach” their teams. Seeing the way they nurture, critique and inspire is interesting- showing there are many different ways to be a good coach. I am also always amazed by the people on the show- young and old who are pursuing a passion. All are very talented – indeed, I appreciate the format on The Voice where only the talented appear on stage- rather than American Idol which brings on people who have no talent in order to mock them. The contestants on The Voice are not only talented, they are driven. I am always shocked by the number of them who are so committed to their passion that they have forsaken everything else. Hopefuls confess to the camera that they have dropped out of high school or college to pursue music – that they don’t know what they’ll do if they don’t get a super star coach to choose them. There are many people who are passionate about something but do not have the talent necessary to make it their chosen profession. Perhaps even worse is that there are many very talented people who, for whatever reason, cannot “make it” in their field. 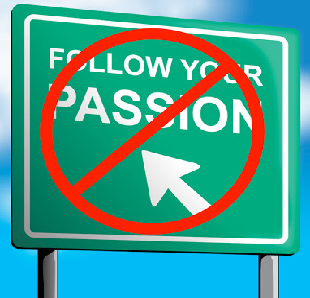 For a million and one different reasons, life doesn’t always let us pursue our passion as profession. For so many of the talented folks on The Voice, this is the case. What does this mean in real terms? As a first step, figure out what your passions are. The second step is to pursue those passions- with a deadline. Determine how long you will give your dream to take off and if the time elapses, re-asses. This does not mean giving up on passion- but it does mean adjusting. That adjustment will look different for everyone. There are so many people who resist having a Plan B because they feel that even to imagine not succeeding is to give into failure. But having a Plan B is not a sign of weakness. I wish for all of those contestants on The Voice who do not make it to the winner’s circle that they find ways of channeling their passions that leave them feeling whole and satisfied. I wish for them lives that are full and meaningful. I hope that they allow themselves to develop new dreams and passions. I hope they bring their passion with them, wherever it is that they go.